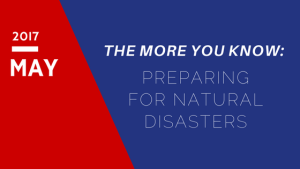 Duraclean/News/The More You Know: Flood Insurance! The More You Know: Flood Insurance! Given the flood Columbia experienced in October of 2015, it’s important to talk with your insurance agent about the coverage you need to protect your home and business and the timelines for establishing coverage. Hurricane season begins June 1st so it’s important to be proactive now!